Bill Brune, CSci’73, remembers the days when computer programming involved feeding punch cards into a mainframe computer that filled an entire room. “All of us from the 1970s remember waiting for jobs to run on the IBM 360 and getting the printouts back, only to find a typo on a punched card and doing it all over again,” says the OGS member and Miner Alumni Association board member. Brune launched his career at Texas Instruments as a programmer in 1973 and went on to work for a number of companies including Price Waterhouse Coopers, El Paso Natural Gas and Hewlett-Packard. He holds an MBA from the University of Houston and was inducted into S&T’s Academy of Computer Science in 2015. Over four decades of IT leadership, Brune spearheaded everything from office automation to systems architecture. He also remained an involved S&T alumnus, serving on the Miner Alumni Association board of directors, recruiting prospective students as an admissions ambassador in the Houston area, and spending countless hours championing the Solar Car Design Team. As a member of Miners by Design, a group of donors who support S&T’s 20 student design teams, Brune is a passionate champion of hands-on learning. 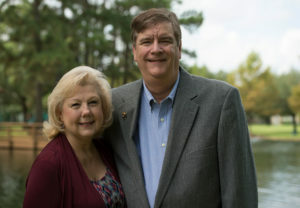 This past year, Brune and his wife, Carolyn, established the William K. and Carolyn J. Brune Scholarship Endowment in support of undergraduates majoring in computer science and students who serve as team managers or leaders on student design teams.